The Peninsula Covenant Church was among recipients recognized by the County of San Mateo for significant contributions to veteran services. 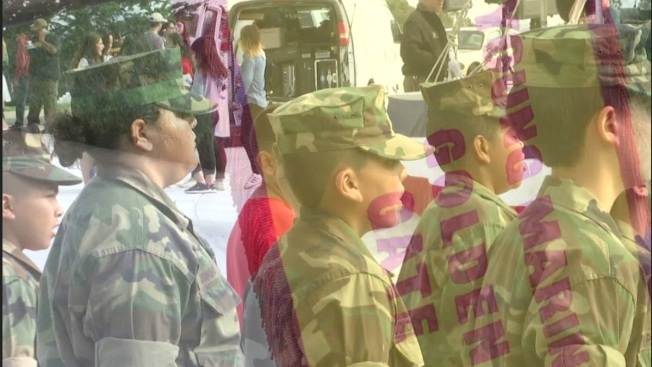 Inspired by the name of the military bugle call to report for duty, the church started 'Reveille' to call members of its faith community to service for local veterans. Todd Gumbrecht, Operations and Facilities Pastor at Peninsula Covenant Church, said you don't have to be a member of the church to recieve the services or to lend a hand. "We're here to serve veterans. We recognize our military heroes and their families," Gumbrecht said. The program handles a range of services such as preparing meals and care packages to making quilts at the holidays. It was also recognized for its work at the Polytrauma Rehab Center assisting long-term patients suffering from traumatic brain injuries. 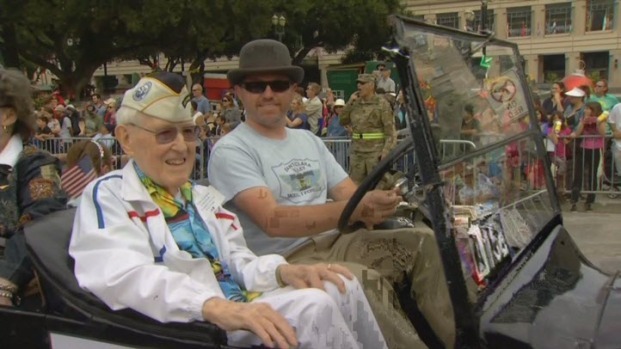 Gumbrecht said that after a Marine in their community named David Winters returned from duty, he raised awareness about the severely wounded men and women recovering at the Palo Alto Veterans Medical Center. Gumbracht and Winters put out a notice in the church pamphlet and got a huge response. Now, the Reveille program is engaging its congregation year-round in service work. Aside from the Revielle program, the county also recognized journalist Carolyn Livengood as the 'Patriot of the Year' for her work covering veteran's issues and her years spent serving as President of the Avenue of Flags Committee. Two 'Veteran of the Year' awards were also announced and went to Tim Healy for his extensive work at the Palo Alto VA Health Care System and Judge John Grandsaert for founding the Veterans Treatment Court and his lifetime advocacy of veteran services. The San Mateo County Veterans Service Office selected the recipients.